This is not your mother’s Canada anymore. All across the country, from conservatives to socialists, the apathetic to political junkies, the universal response to Jack Layton’s losing battle with cancer was unmistakable. Not surprisingly, his supporters were quite emotional, tearing up on live television as they reminisced about their leader, their mentor. Liberal party members were next, echoing the sentiment and paying their respects, calling Layton their friend and a worthy adversary. Conservatives also showed the kind of class we should expect from our leaders, telling stories of battles waged in the House of Commons with a man they held in high regard. It was as if Layton’s passing could serve as a watershed moment of sorts, breaking down barriers between people or at least slowing down Canada’s slide into the depths of polarization. Liberals and Conservatives were certainly not about to trade in their red and blue for bright orange, but for once they were able to speak with civility about someone who they disagreed with politically. ‘Not so fast’, said the loudest, most ignorant and most extreme voices in the country. In a surreal display of cowardice, and a testament to the internet’s greatest misgiving, up popped the lunatic fringe who expressed glee over the death of their socialist enemy. Sure, there are crazies everywhere, and the internet is crawling with them, but what once seemed like a tiny minority is now appearing to become a growing phenomenon. These aren’t your typical nut-jobs, pranksters or mentally disturbed people – they are regular, every day folks who have decided that since they no longer believe in evil concepts such as political correctness, they are now free to kick a man on the day he dies, especially if that man disagrees with their point of view. The comments from these regular folks reflect a new way of interpreting the now omnipresent political battlefield. Canada is experiencing a variety of social symptoms where the fabric of decency is being unraveled and restitched with ideological threads once seen exclusively during campaign season. Journalists like Dave Naylor and Christie Blatchford, desperate to differentiate themselves and provide an alternative perspective, tweeted jokes about Layton’s death or penned long winded columns about how the coverage (on the very day our Leader of the Opposition died, no less) was over the top. And while Blatchford has had a wonderful career and is a magnificent writer, her need to appear original and crafty actually made her look petty and amateurish. Amazingly, and it is worth repeating, it was politicians who showed true leadership when the news broke. In fact, these moments in history often produce an ethical hubris where politicians act like statesmen while bias media organizations and maverick journalists take on the role of children, championing the classic public relations strategy of personal exposure through controversy instead of simply writing and reporting. Opinion news, the new and oxymoronic method of ideologues and partisans, has morphed from a watered down version of journalism to a full time, hatchet wielding concept meant to assimilate people into specific political philosophies. The aforementioned mainstay issue of those with opposite views of Layton is now political correctness. By hiding behind free speech, far right radicals are convincing regular folks to feel infallible if they cheer the death of someone they disagreed with. 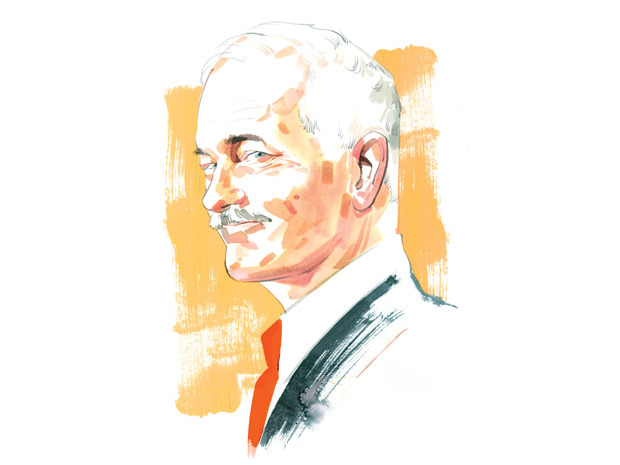 Jack Layton’s passing is a stark reminder of how our leadership can sometimes shine, even if some of the people they are leading distort its reflection. No sir, this is not your mother’s Canada.